The following itinerary is a guide only. Our exact route and program will vary to take best advantage of local weather and ice conditions and opportunities to view wildlife. Changes will be made by the Captain and/or Expedition Leader to facilitate the best results from the prevailing conditions. A daily program sheet will be issued on board. Flexibility is the key to success. Embark the USHUAIA in the afternoon and meet your expedition and lecture staff. After you have settled into your cabins we sail along the famous Beagle Channel on our way to the Falkland Islands. The open bridge policy on the USHUAIA allows you to join our officers on the bridge and learn about navigation, watch for whales, and enjoy the view. These waters are also home to countless seabirds, which often ride the currents created in the wake of the ship. On board, our extensive lecture program will begin today. Expeditions’ expert naturalists share their knowledge of the wildlife and unique ecosystems we will encounter throughout our voyage. Our lecture team will accompany us through every step of the journey, offering insight and ready knowledge on this amazing region. We hope to visit West Point Island, where we board the zodiacs for the trip to shore. A brisk walk to the far side of the small island takes us to a magnificent cliff-side colony of Black-browed Albatrosses and Rockhopper Penguins. Later we hope to call on Carcass Island, where we join expert naturalists for a nature walk. Observe the Magellanic Penguin burrows that dot the landscape, as well as the gaggles of Upland Geese that nibble on the surrounding greenery. 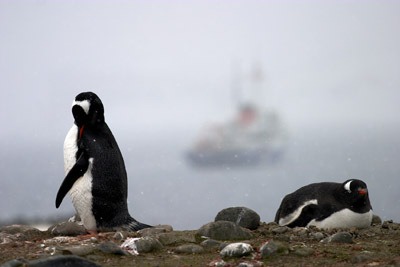 We may also spot Falkland’s Steamer Ducks, Striated Caracaras, and Gentoo Penguins. After breakfast we make our way to shore, where we board waiting motor coaches for a tour of this charming Victorian outp ost. A stop at the local museum highlights the maritime history of the Falklands, the 1982 conflict with Argentina, and the islands’ natural history. Our day in Stanley includes leisure time to explore the charming shops, stroll the picturesque town, or perhaps enjoy a pint at the British-flavored Upland Goose Pub. Join Expeditions’ lecturers and naturalists on deck today as we search for seabirds and other local wildlife. A full program of lectures will be offered throughout the day. We will continue on to South Georgia, widely regarded as one of the most beautiful and inspiring places on earth with more wildlife than virtually anywhere else on the planet. Though extremely isolated, South Georgia has an amazing scenery ranging from high mountains and mighty glaciers to deep fjords and low-lying grassland. Our natural history staff will continue with their ongoing lecture series throughout the crossing. Once a thriving whaling station, the ruins of Grytviken stand as a reminder of an era of exploitation that thankfully grows more distant by the day. Grytviken has an excellent natural history museum run by a remarkable couple who live off South Georgia on a 19th century sloop. A short zodiac ride around King Edward cove brings us to the grave of Sir Ernest Shackleton. Join the USHUAIA’s Captain for a graveside toast honoring this remarkable explorer and venerated mariner. Sometimes called the “Serengeti of the South” Salisbury Plain is a wildlife site without parallel. Several large glaciers provide a dramatic backdrop for the tens of thousands of King Penguins that nest in the tussock grass of this remarkable ecosystem. The wide beach makes for excellent walking as we visit the colonies, where we are literally surrounded and delightfully outnumbered by throngs of curious, gentle penguins. Elephant and fur seals also abound, as well as Southern Giant Petrels and the occasional wandering Gentoo Penguin. Remember to bring extra film and prepare for an awe-inspiring experience. Rising 10,000 feet out of the Scotia Sea and coated in more than 100 glaciers, South Georgia is the most dramatic of all of the sub-Antarctic Islands. The magnificent Bay of Isles is studded with numerous islets. We hope to visit several of the islands to view fur seals and nesting Wandering Albatrosses. Other landing sites will take us to see the handsome King Penguins that breed on South Georgia in abundance. Gold Harbor offers some of the most spectacular scenery of the voyage with its alpine landscape and hanging glaciers. We hope to make a landing on the beach, where we will enjoy naturalist-led nature walks and hikes. The surrounding cliffs of Gold Harbor provide habitat for nesting Light-Mantled Sooty Albatrosses, which can often be seen soaring above the beach. A large colony of King Penguins offers a fantastic opportunity to photograph these dramatic birds, and the sandy beach is a favorite haul-out spot for massive southern elephant seals. We hope to explore two sites in Cooper Bay. The first is a sheltered cove that provides a perfect refuge for southern fur seals, which gather here in vast numbers during the Austral summer. We may have the opportunity to make a landing here and investigate the tussock grass community, or take part in a zodiac tour around the bay to a wonderful Macaroni Penguin colony perched on the rocky cliffs. Southern elephant seals can often be seen lounging among the large clumps of tussock grass in the area as well. Today we will cross the waters to the South Orkney Islands offering excellent opportunities to be out on deck or to catch up on your reading and reflect on the amazing experience in South Georgia of the past few days. Lectures and activities will be offered throughout the day. Remote, rugged, and 85 percent glaciated, early visitors dubbed the dramatic South Orkneys the “Inaccessible Islands”. Conditions permitting, we will land on Laurie Island to visit Orcadas Station, the oldest continuously manned research station in the Antarctic. We may also explore delightful Chinstrap Penguin colonies via zodiac and scan the beaches for Antarctic fur seals. Now a specially protected species, fur seals have made a remarkable recovery from near extinction from sealing activities during the nineteenth century. Sir Ernest Shackleton admirers will need no introduction to this historic isle. In 1916 Shackleton was forced to leave 22 of his men stranded on these shores, while he and five others embarked on an unbelievable last-ditch rescue attempt. What followed is one of the greatest rescue stories of all time. Every passenger will return with a greater knowledge of this gripping tale of adventure in a truly remarkable part of the world. 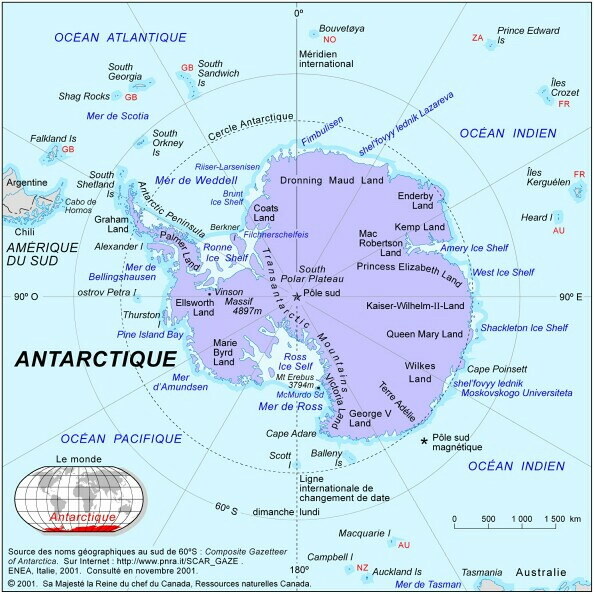 King George Island is the largest of the South Shetland Islands. Russia, China, Korea, Poland, Brazil, Uruguay, and Argentina have all built research stations here. We may have an opportunity to visit one of these stations, where researchers welcome us with descriptions of their projects and a firsthand look at life in the Antarctic. 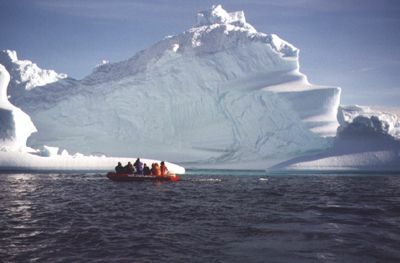 King George Island features colonies of nesting Adélie and Chinstrap Penguins, as well as Kelp Gulls, Blue-eyed Cormorants, Antarctic Terns and Southern Giant Petrels. Southern elephant seals can often be found in muddy wallows close to the shoreline. The island is also known for its flora, including luxuriant moss beds, two species of grass which grows in sheltered areas and beautiful brightly-colored orange and green lichens found on coastal rocks. Invertebrates can also be found in tide pools along the shore. Long ago, volcanic pressure on Deception Island resulted in a tremendous eruption that caused the island’s peak to explode. The resulting caldera flooded with seawater, creating the unique landmass we may visit today. Our Captain will expertly pilot the ship through a narrow gateway in the icy cliffs of the island, taking the USHUAIA into the caldera itself. Hundreds of thousands of Chinstrap Penguins inhabit the outer volcanic slopes of the island at Baily Head, along with nesting Pintado Petrels and Antarctic Terns. Brave souls may don their bathing suits for the unusual opportunity of a swim in the Antarctic, since the waters around Deception Island are usually geo-thermally heated! Paradise Bay is perhaps the most aptly named place in the world. Heavily glaciated mountains and ice cliffs surround a protected harbor. 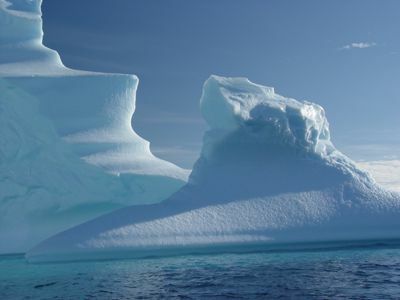 After a foray by zodiac into the maze of icebergs and “bergy bits” we may attempt a landing on the continent proper. If you wish, join an invigorating hike up the hill behind Almirante Brown Station, an Argentinean research base, for a breathtaking panoramic view across the expanse of the bay. Torgersen Island is home to thousands of Adélie Penguins, which were named for the wife of explorer Dumont D'Urville. Just opposite Torgersen Island on Anvers Island is the United States’ Palmer Station, which we may have the opportunity to visit. Port Lockroy is situated on scenic Neumayer Channel and is home to the recently restored buildings of Britain’s Base A. The site is now part of the British Antarctic Heritage Trust, which maintains the station as a museum. We may have the opportunity to post letters from the base. 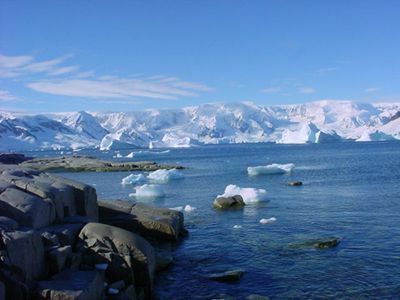 Large colonies of Gentoo Penguins as well as a small group of Blue-eyed Cormorants can be seen in the area. 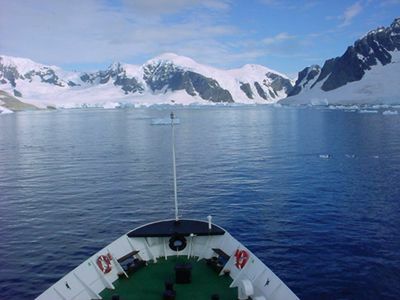 If ice conditions permit, we will sail to Petermann Island for a visit to the southernmost colony of Gentoo Penguins. Adélie Penguins and Blue-eyed Cormorants also make their home on Petermann. After negotiating the iceberg-strewn waters of the Antarctic Sound, we hope to visit the bustling Adélie Penguin (over 100,000 pairs breed here) and Blue-eyed Cormorant colonies on Paulet. This important breeding ground should offer a host of penguin behavior. The Nordenskjöld expedition built a stone survival hut here in 1903. Today its ruins have been taken over by nesting penguins. Grab your cameras and make for the observation decks as our Captain deftly nudges aside ice floes with the bow of the ship as we transit Lemaire Channel, affectionately known as “Kodak Gap.” This narrow waterway flows between the 3,000-foot peaks of Booth Island and the peninsula. Orcas and humpback whales often accompany the ship as we make our way through some of the most spectacular scenery on Earth. We leave Antarctica the evening before and head north across the Drake Passage. 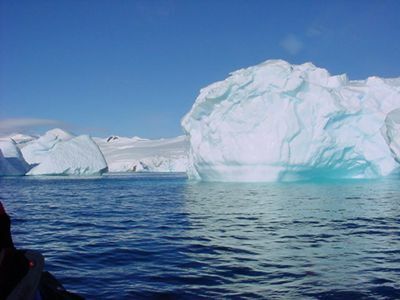 Named after the renowned explorer, Sir Frances Drake, who sailed these waters in 1578, the Drake Passage also marks the Antarctic Convergence, a biological barrier where cold polar water sinks beneath the warmer northern waters. This creates a great upwelling of nutrients, which sustains the biodiversity of this region. The Drake Passage also marks the northern limit of many Antarctic seabirds. As we sail across the passage, Expeditions’ lecturers will be out with you on deck to help in the identification of whales and an amazing variety of seabirds, including many albatrosses, which follow in our wake. Join our lecturers for some final lectures and take the chance to relax and reflect on the fascinating adventures of the past days on the way back to Ushuaia.